Andrew “Bunnie” Huang, co-creator of the Chumby smart alarm clock, posted an interesting exploration of the underside of MicroSD memory card production in China. 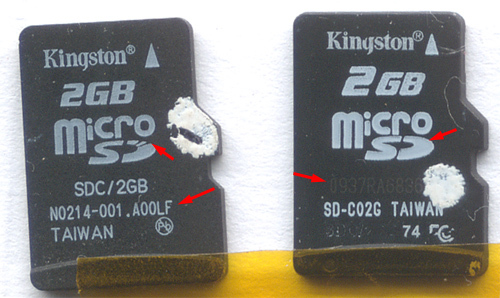 Huang came across a batch of questionable memory cards purchased directly from Kingston itself and decided to investigate the issue. Turns out the chips were produced in a “ghost shift”– factory workers return to the facility after hours and use spare or rejected material to create cheap but sub-par memory chips, wrap them up in authentic retail packaging, and sell them in the gray market. Huang watched as mom-and-pop shops packaged and sold similar bogus chips, but the most interesting aspect is of course that his original batch had come from Kingston itself. Kingston is a major memory brand in places like the US, but it lacks production facilities of its own, instead buying “A- grade” chips from Sandisk/Toshiba and Samsung. While the chips generally work fine, they have enough defects that they might normally be rejected by the chipmaker. 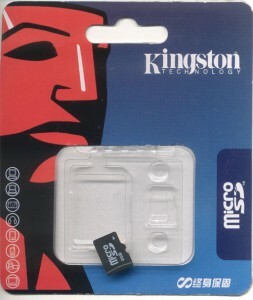 As a result, manufacturers are happy to sell them at cheaper rates to companies like Kingston, which then pass on some of the savings to the consumer– but in the case of Kingston, it comes at some risk to their brand name. Next story China’s BYD: $25 Billion Reverse Engineering Specialist?